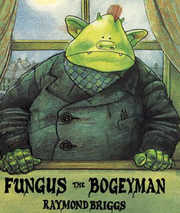 Did you have a Personal Organiser? 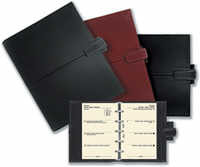 This weeks survey is based on the personal organiser, or Filofax as the original ones were called. Â Many kids got given these as Christmas presents from relatives who didn’t know what else to get, although if you got a proper Filofax one then you’ve got richer relatives than I have. So, regardless of whether it was a gift or you bought it yourself, I want to know whether you had a personal organiser or not, and if so if it was a proper Filofax. Yes, and it was a Filofax! With the news that Wendy Richard has died from Cancer this week I thought I’d remember what I consider her finest role from the 1980’s. Â No, not Pauline Fowler from EastEnders, although that did start in the eighties. Â I am of course talking about Miss Brahms, the “pretty one” from Are You Being Served? Are You Being Served? was a BBC situation comedy that ran from 1972 to 1985, and was primarily about a group of shop assistants who worked in the clothing department of Grace Brothers department store. Â It is one of those sitcoms that these days is considered crass and not politically correct, but at its peak would attract 22 million viewers. 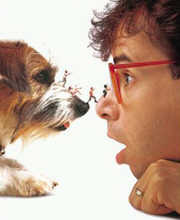 Â You don’t get viewing figures like that any more! The clothing department of Grace Brothers was split in two halves, with the left hand side of the set being women’s clothes and the right side mens. Â The male counter was primarily run by Mr. Humphreys (John Inman), who was as camp as could be and is best known for his “I’m free!” catchphrase. Â Captain Peacock (Frank Thornton) was presumably in charge, and liked to let every one know this, although he rarely seemed to serve anybody himself. The Filofax became an indispensable item for many in the 1980’s, especially with the group of people known as Young Urban Professionals, or rather less glamourously put, Yuppies. Before we had iPhones and PDAs the best way to keep yourself organised whilst dashing between meetings was to get yourself a personal organiser, and if you didn’t want to be a laughing stock in the boardroom you’d better make sure it was a Filofax that you used. Inside there was a ring binder mechanism with multiple rings to prevent the pages falling out too easily due to wear and tear from riffling through them. Â When you bought a new Filofax you would generally always have a diary of some kind, since this was their core purpose. Â Diary sheets were available in just about any format you can think of, from day to a page through all the various possibilities to month to a page and beyond. But it didn’t stop just at diary sheets. Â Oh no! Â The more obvious additional insert pages you could buy to customise your Filofax were things such as notebooks, address books, time tables and to do lists, but the range went on to include maps and tools such as rulers, magnifiers and business card holders. Â All very well, but if you got too carried away you could find yourself needing a rucksack to carry the blessed thing around with you. Here’s one from the depths of my sisters toy cupboard. Well, not exactly, as she didn’t have the real fashion wheel but an imitation version, but it was just as good – probably better since it was smaller in size so easier to play with. 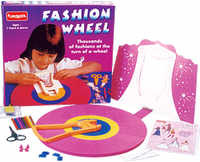 The Fashion Wheel allowed junior Armanis to design their own fashion collection by rotating the wheel to select different items of clothing, then placing a piece of paper over the selected options and rubbing over it with a wax crayon held sideways, a bit like doing a brass rubbing, if anybody still does that these days. The wheel was split into three sections that rotated independently, the top featuring a head with various hats or jewellery, the middle different shirts, jackets and blouses, and the bottom depicting skirts and trousers. These images were raised off the plastic of the wheel, so when you rubbed the crayon over them an image of the outfit you had designed was left on the paper. The designs could then be coloured in if you wished.